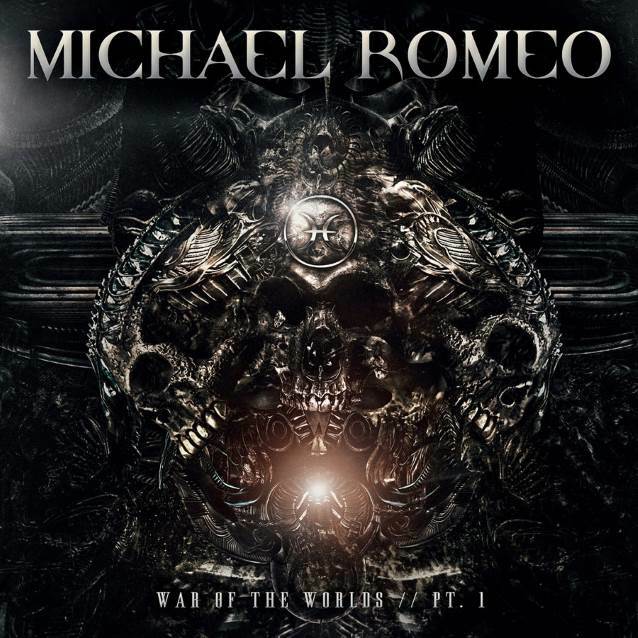 Internationally acclaimed guitar hero Michael Romeo will release his solo album, “War Of The Worlds / Pt. 1”, on July 27 via Music Theories Recordings / Mascot Label Group. The official lyric video for the song “Djinn” can be seen below. No doubt there will rapturous responses from Romeo’s longtime fans. While “War Of The Worlds / Pt. 1” brims with the kind of thrill-seeking guitar chops that have placed the Garden State shredder in numerous “all-time greats” lists, it also offers some unconventional twists: Along with classic metal textures, Romeo pays homage to film score giants Bernard Hermannand John Williams, and there’s even some surprising EDM/dubstep elements guaranteed to turn heads — all of which makes for an enthralling and immersive journey. Recalling the forbidding tone of the notorious H.G. Wells novel that inspired its name, Romeocasts the lead track, “Introduction”, as a precursor for what is to follow. The dark, symphonic instrumental (equal parts Bernard Herman and Gustav Holst) gives way to the pummeling metal double-header of “Fear The Unknown” and “Black”, on which Romeo‘s rifftastic twists and turns are ably assisted by Rick Castellano‘s soaring vocals. A startling change-up occurs with “F*cking Robots”, a striking mash-up of digital blurps, bleeps, DJ-like scratches and ace guitar madness. “My fans might think I’ve lost my mind on this one,” the axeman jokes. But just as quickly, he floors the six-string goodness on “Djinn”, an epic, theatrical rock roller coaster on which the rhythm section of John “JD” DeServio (bass) and John Macaluso (drums) provide a muscular backdrop for the guitarist’s elastic soloing and Castellano‘s full-throated vocal chops.